I have been working on a project which will allow me to learn how to charge Li-ion batteries. I recently purchased some simple PMIC's made by Texas Instruments. I received them the other day and realized I made a mistake in my purchase, the PMIC's were sot-23 smt packages. I don't have much soldering experience, and most of my experience with electronics is with through-hole bread-boarding and through hole soldering. I hear a lot that smt is the way to go if your serious about electronics, so I don't know if I should consider returning them and sticking to what I know, or taking the leap into smt now. I already have a breadboard power supply, which I intended to use during the prototyping phase for charging. I don't know enough about SMT to know if I can still use it in such applications. I can return the smt PMIC's, but the through-hole PMIC options I have found so far cost three times as much as the smt alternatives. And after reviewing some datasheets, I have found them to be way more complicated than whats actually necessary for my needs, I would be going from 6 pins to 16, with a bunch of added features I didn't need to deal with just to learn how to charge my first lithium battery. I have reviewed the datasheet for the smt's I purchased about three times now, and it requires less than a half-dozen supportive components, most I had already or have purchased, such as NTC resistors. Based on all that, I would at least like to know what are my prototyping options when dealing with smt devices, so that way I can make an intelligent decision on whether keeping them is even practical at this moment. I'm assuming the four breadboards I have laying around are useless, so what can I use to setup and test circuits with smt components? Use adaptors to get you going... like this commercially available one, or make your own..
Don't be afraid of SMT soldering! It's easy! What you need is a good adjustable solder station, a magnifying glass with light and a feet, some prototype boards (through hole) and maybe an hot air gun (if you become serious with very small SMT packages). 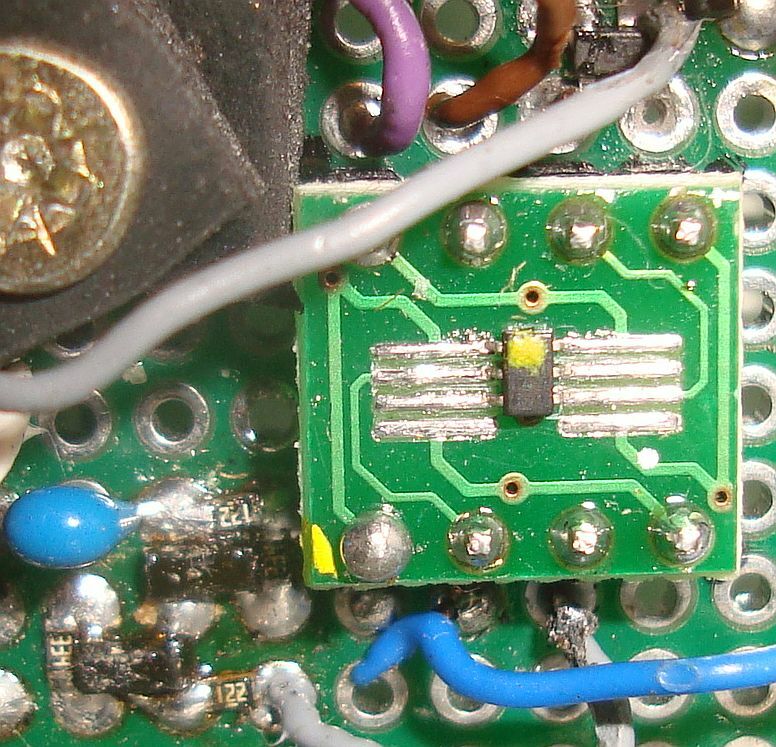 The 2.54 separation between holes on prototype board matches most of SMT component pin spacing. When it doesn't look for "PCB board adapter" (add the package code to your search like "SSOP8") and connect them with pins (see Trevor_G's reply) or with wires to the main board. 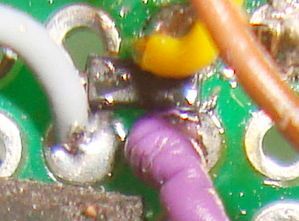 You don't need them for SOT-23 and the likes: just solder them between the holes. Except when you want the component to be connectable individualy. You will also save a LOT OF space on your board compared with through-hole resistors and so on. IMO breadboards are irreliable when you have more than 5 or 6 components or are used more than once. They are just fine to test parts of your circuit. 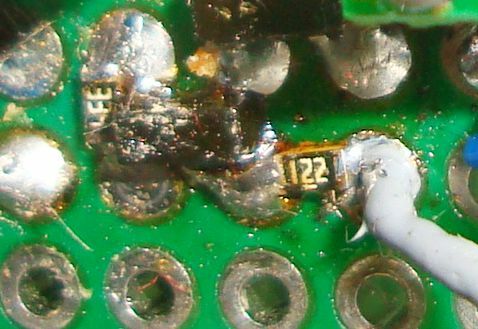 I ordered for this exact reason convertor PCBs on Amazon. These were for bigger ICs, mind you, but I bet they exist for the TOS-23 package as well! Not the answer you're looking for? Browse other questions tagged power-supply battery-charging surface-mount prototyping lithium or ask your own question. 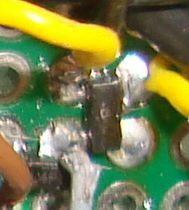 Why are power supplies almost always made using through hole components? 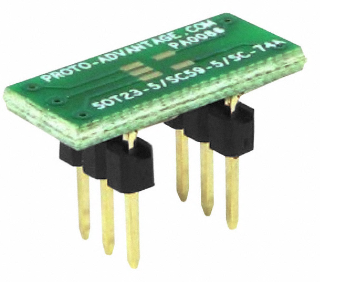 What is your go-to prototyping connector?